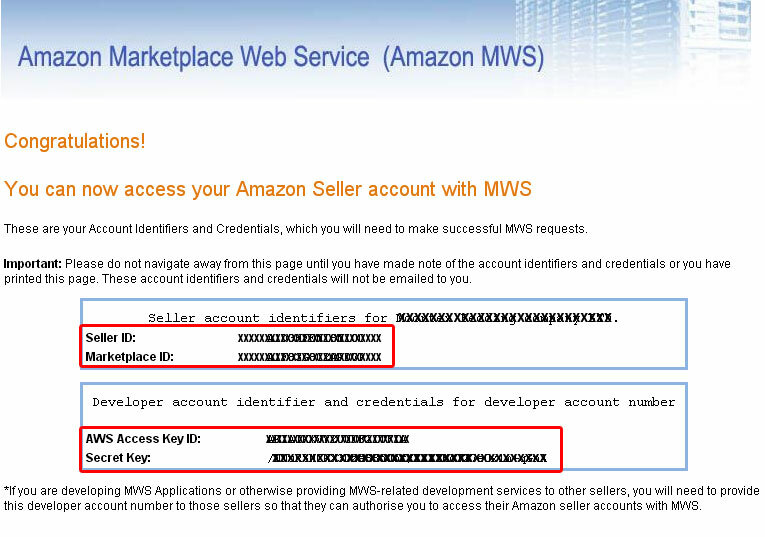 Copy your account identifiers (Merchant ID and Marketplace ID). It is also a good practice to print this page and save it in a safe place. 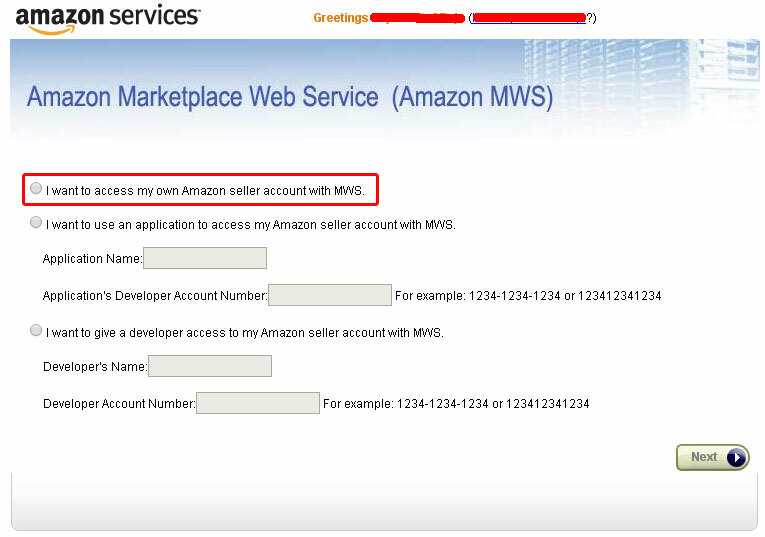 Follow the instructions given to you by your application developer to enter your account identifiers into the application.